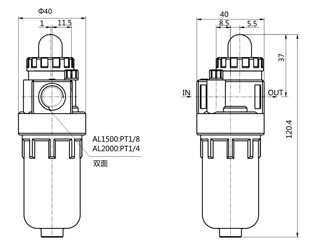 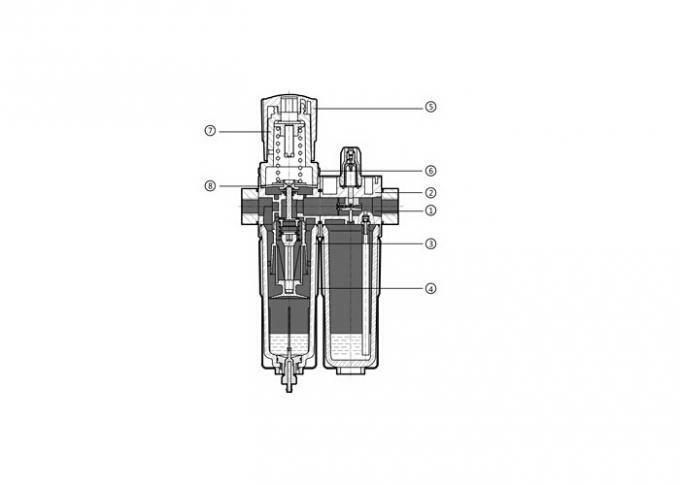 (5) Port Size: Mini-1/8", 1/4", 3/8"; Midi-1/4", 3/8", 1/2", 3/4"
The OF with water separator cleans the compressed air of fluid oil,condensation and dirt particles.For special application,the standard 40μm filter element may easily be replaced by a 5μm filter element. 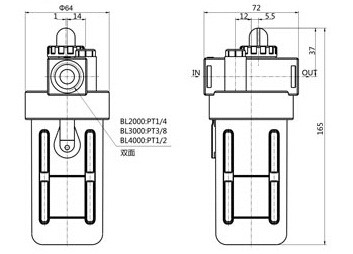 The OR maintain imputting constant operating pressure despite fluctuation in line pressure and the amount of air consumed. 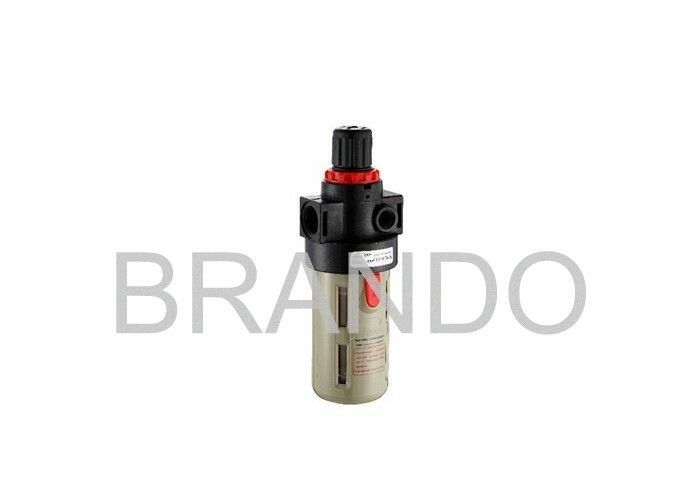 The proportional lubricator adds a regulated quantity of oil to the filtered air.The oil-mist content proportional to the flow and oil can be added during operation.The oil drip rate is controlled by the adjustable bolt.Normally,1to 12 drops /1000L of the air is sufficient.